First of all, I want to say a huge thank you to Jenna Sue Design, Joyful Derivatives, and The White Cabana for all featuring Home Glow’s “Ultimate She-Shed” as one of your favorites of the Spring 2018 One Room Challenge! Very honored. 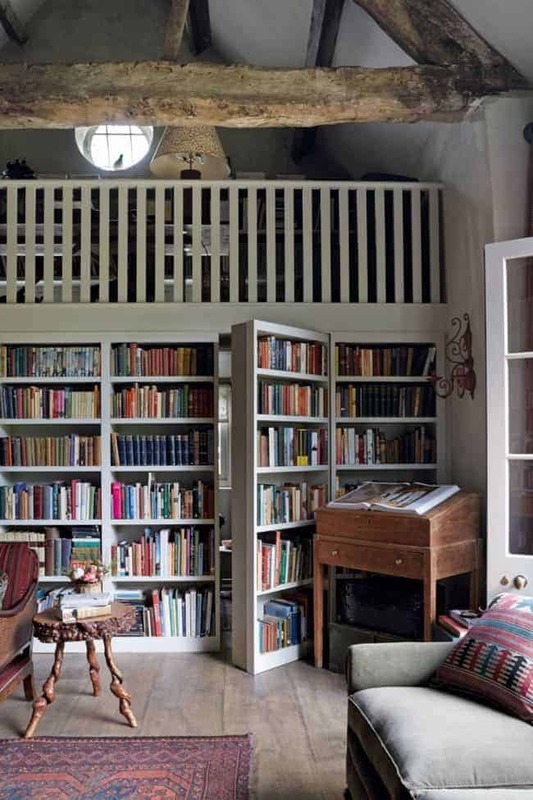 In my never ending search for client project inspiration, I lit upon this barn-turned-reading-room-and-guest quarters from the archives of House & Garden UK, and I just had to share with you! 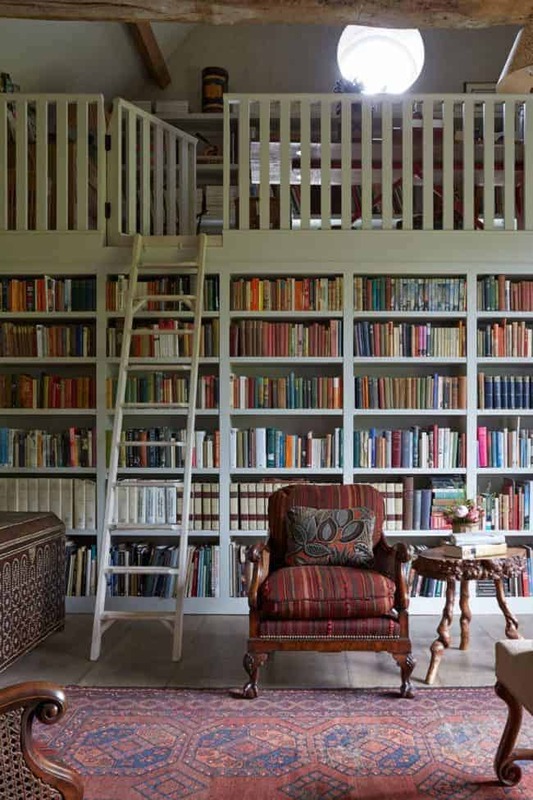 It is a British bibliophile’s perfect dream! A place to “worm” away the hours (e.g. “bookworm” away) … and hours … and hours …. I think I even look a little like Belle! 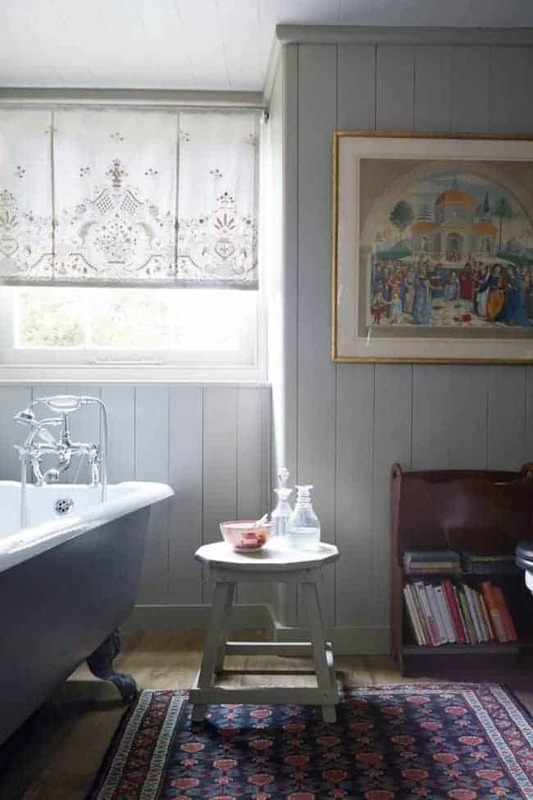 The cottage is the work of Emma Burns, senior decorator at Sibyl Colefax & John Fowler. You can’t get a better design pedigree than that. 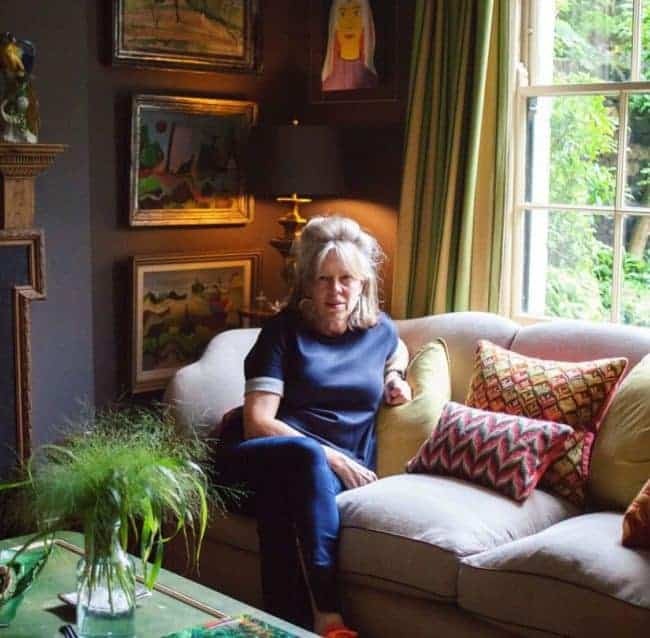 This is a lady who knows how to create those artlessly assembled, pattern-on-pattern, lived-in spaces at which the Brits so excel. 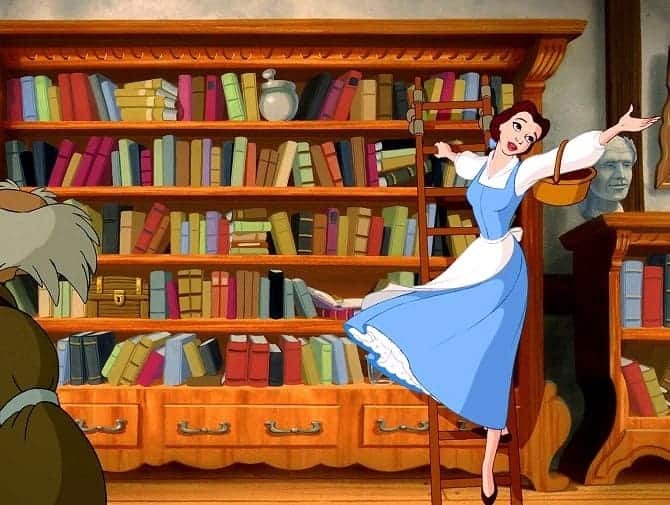 After downsizing, Emma and her late partner found that most of their extensive book collection had to be put in storage. They took what was, in her own words, “a glorified garden shed” and created a sanctuary. Hmmmm… would that we all had such a garden shed. 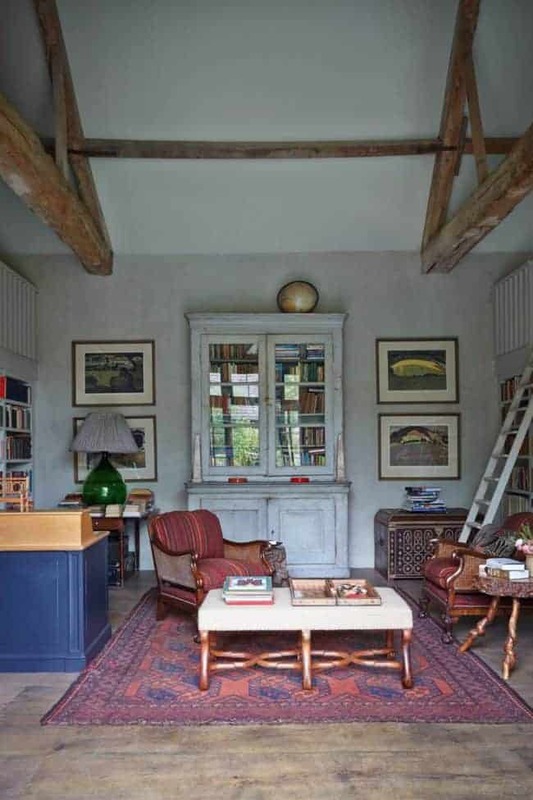 In her brilliance, Emma created a main sitting area, flanked on either side by second story galleries providing a study and sleeping quarters. If you love a custom gathered lampshade like you see above, you should check out my post on Etsy sources for bespoke lampshades. So charming. 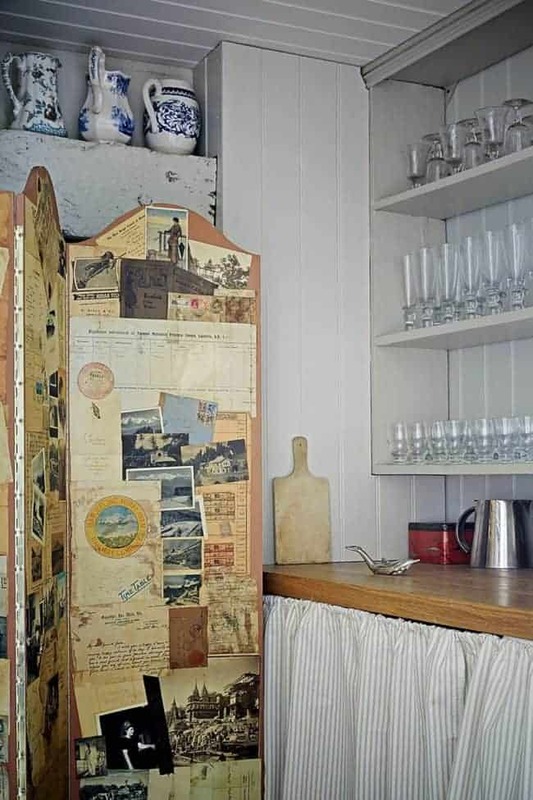 When we redo our laundry into a pantry/laundry (part of next year’s kitchen remodel), I’m definitely planning some skirt action. 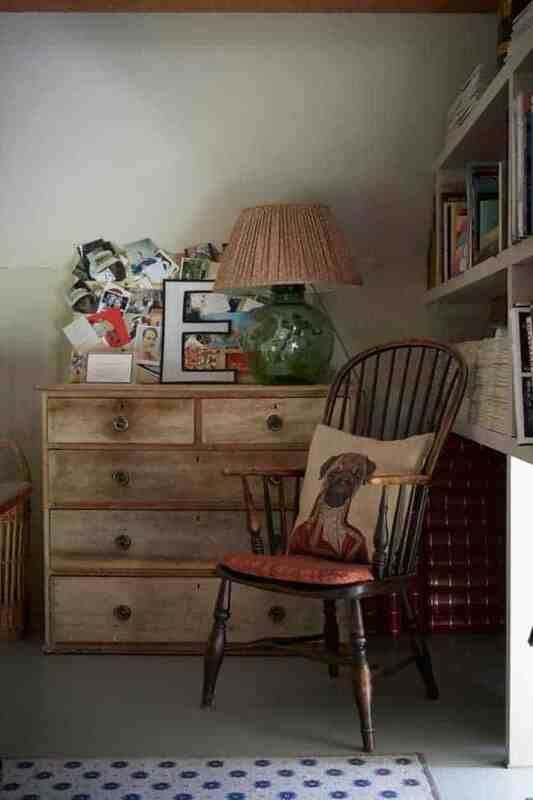 Sure, sounds easy … but can you make junk shop furniture and dumpster finds look this good? More to the point, can you make it look and feel this comfortable? She’s an artist. You can see the full story with more pictures here. 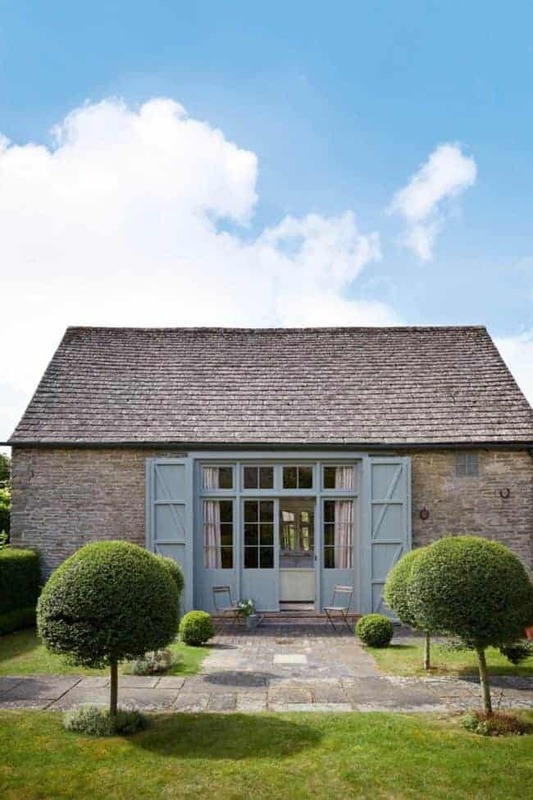 Like old houses? 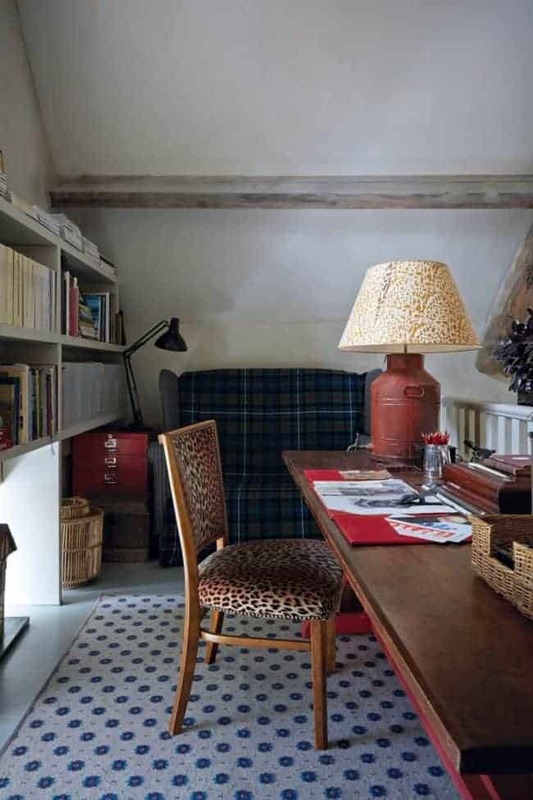 You might like this post on fresh, historically-inspired interiors. 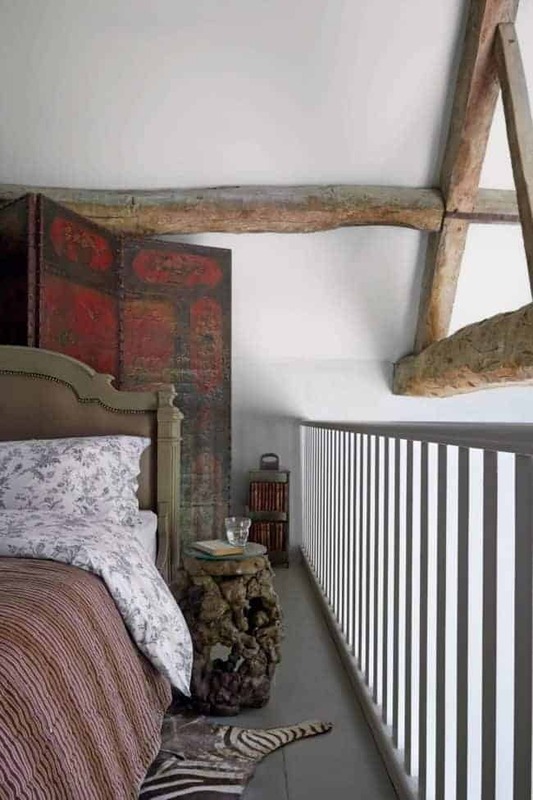 Try this post if you’d like to add items with a rich patina to your home but don’t want to break the bank buying antiques. For one of the best craftsmen of American historically-inspired fine furniture, try this post. I recently attended a seminar on the ins and outs of different kinds of wood flooring. I’m also working on a post on some exciting artists, and I’m still stewing a broader carpeting story. If there’s something else you want to hear about, let me know! I so look forward to your posts on Saturday morning, and this one was a real treat! 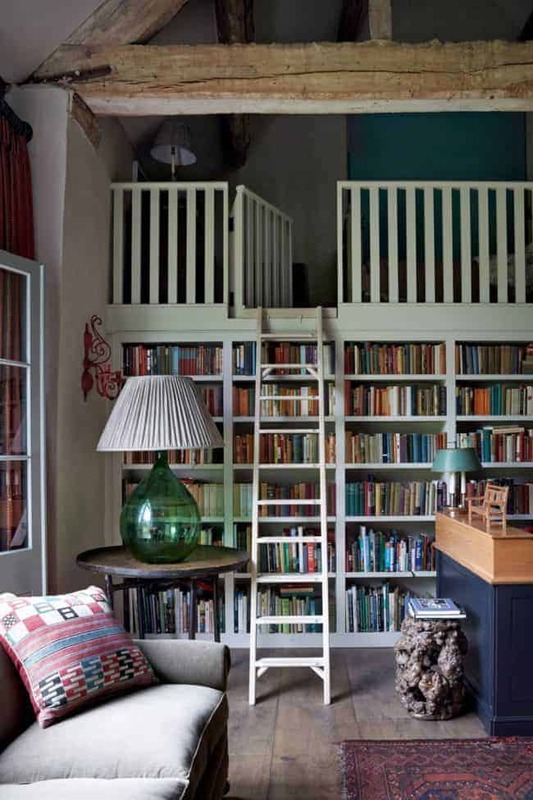 What a fantastic space–as a fellow bookworm (I think being nearsighted as a child fostered that), this would be a dream space for me. She is indeed an artiste! On a side note, I recognized the Ikea black and white toile duvet and pillow sham on the bed, as I bought them for a guest room last year. So pretty and reasonably priced!